Boilsoft Video Joiner is the comprehensive and easy video file joiner to combine any video clips into a complete video file. The program works with the following video types: AVI, MPEG/MPG, VOB, RM/RMVB, 3GP, ASF, WMV, WMA, MP4, MKV, MTS, and FLV. All of this is done at lightning quick speeds. Gives ability to control output settings such as bitrate, aspect ratio, etc. VirtualDub is the video equivalent of Audacity. You can use it to edit your video files any way you want them – you can merge the video files, split them, save the source audio, capture screenshots, fix the colouring in the video footage and much more. It does the job very well, with accurate and quickly produced effects. With Free Video Joiner you can join several videos into one large video file, it is a powerful tool and easy to use, works fast and keep the quality of video, supports video formats include: AVI ((Divx,XviD,MPEG4), WMV, MPEG (MPEG1 and MPEG2), MP4, MOV, DVD, VCD and other formats. It allows a choice of output formats. 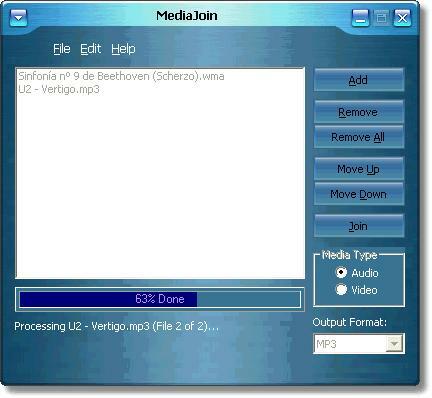 MediaJoin is a free program for combining your Video/Audio clips into one file. This simple, no frills program makes it easy for anyone to combine their clips. Its compatible with MP3, WAV, MPG and MPEG files. It can also be used to combine Text file and other notes. If you have a lot of notes saved as text files like I do use MediaJoin to combine them into one Text file. Movica is an Open Source project. The movie editing software is basically a graphical user interface for three other tools (AsfBin, MpgTx, and flvtool) that handle the video editing at the backend. They are installed as part of the software. There is compatibility for a wide range video formats available as well as both .wma and .mp3 audio files. A simple interface with some great features, it works very well. This free powerful video editor lets you convert videos, add watermark text, cut videos, crop videos, merge several video files, demux video files and much more. A VideoToolbox account entitles allows you to store 300MB of videos in their file manager and 700MB of data in their recent output files. In addition, you can also use VideoToolbox to record a video from your webcam which will then be saved to your file manager. 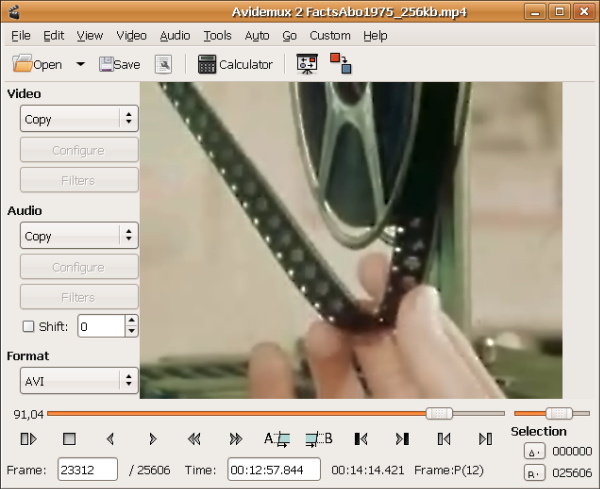 Avidemux is an easy-to-use, open-source video editor for Windows, Mac OS X, and Linux. It’s ideal for basic video-editing tasks. Unlike more advanced programs, it doesn’t have a lot of complex features that get in the way. Merging and joining files is easy, and the software is compatible with a huge range of video formats, although the interface is not as well designed as some. AoA Video Joiner is a free software to join multiple video files. It lets you join multiple movie clips of various formats like AVI, MP4, MPEG-1/2, WMV, FLV, 3GP, and MOV etc. together into one large file. You can join different video formats and convert them to AVI, MP4, MPEG, WMV, FLV, 3GP, and MOV format. Weeny Free Video Joiner is a free video joining software. It lets you join multiple video files into one large video file. It supports various video formats like AVI, WMV, FLV, MP4, MPG, 3GP, RMVB, VOB, and many more to AVI, MPG, MP4, FLV, or WMV files. You can adjust the output settings like video size, bit rate, frame rate etc. easily. 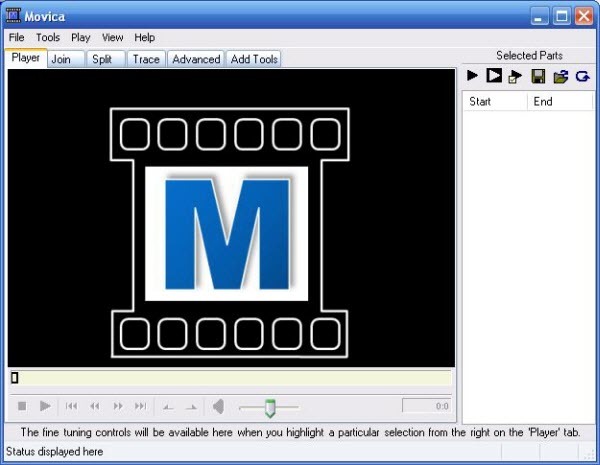 Free AVI MP4 WMV MPEG Video Joiner is a simple but powerful video joining tool. It lets you to merge multiple video files in the same or different formats into a large one file such as AVI, MP4, FLV, WMA, etc. You can add an unlimited number of video files as you like and you can easily rearrange their order if needed. There are various presets which provide different quality adjustments with clicks. The above alternatives to Boilsoft Video Joiner are free download with different features. If you need some better video joiners at reasonable price , you can take Pavtube Video Converter Ultimate into account. As a powerful alternative tool to Boilsoft Video Joiner, it is just suitable to your needs for merging videos, which is an all-in-one video converter, editor and merger. It allows you to merge all kinds of videos into one movie file in format you need(Read the tutorial), and can also trim clips, crop videos, add effects, insert subtitles, etc as many editors do. What’s more, this video app is also professionalized in converting videos in all formats, including (4K) MP4, MTS, MXF, AVI, MKV, FLV, MPG format and make them best compatible with YouTube, Vimeo, Avid Media Composer, Premiere Pro, iPad, iPhone, Galaxy Tab and more video sharing websites, professional editing programs and portable media devices. If you are running on a Mac, iMedia Converter for Mac is right for you.